It’s hot and it’s summer. 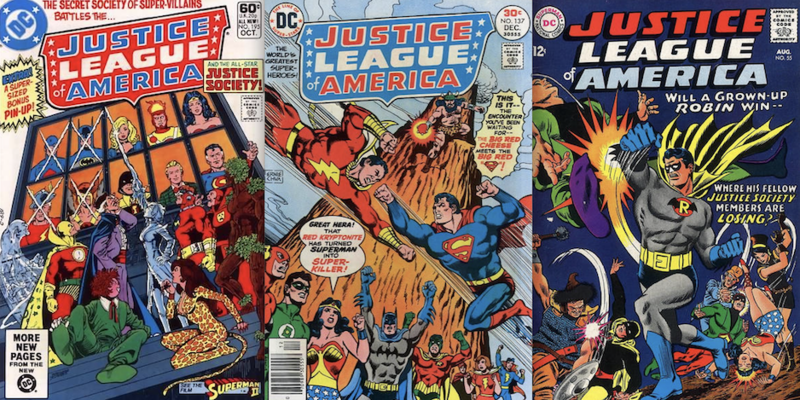 Back in the day, summer meant the latest multiversal crisis that forced the Justice League of Earth-One to team up with the Justice Society of Earth-Two — and sometimes heroes from Earth-S, Earth-X and so on. 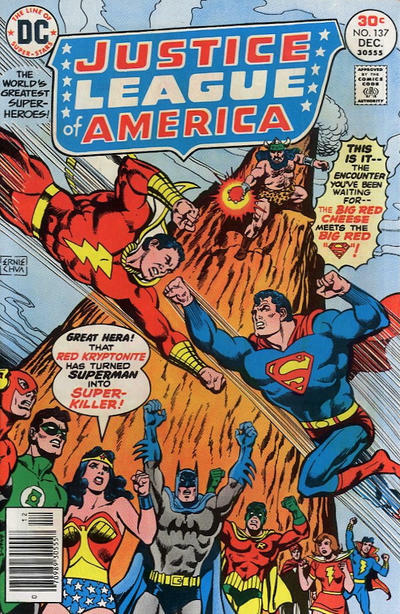 All in all, it seemed like a good time to do 13 COVERS starring the JLA, JSA and a coterie of guest stars. 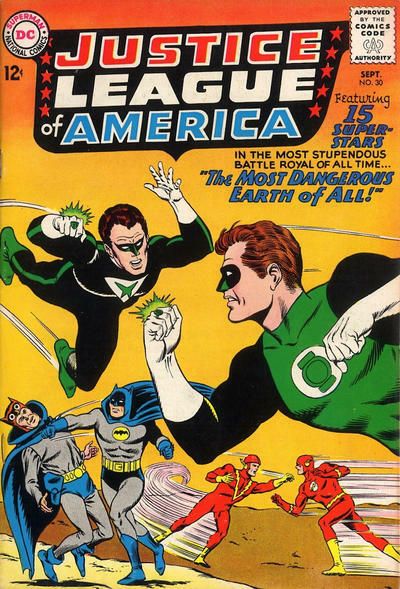 Sekowsky and Anderson, with floating heads by Bernard Sachs. I love floating heads. 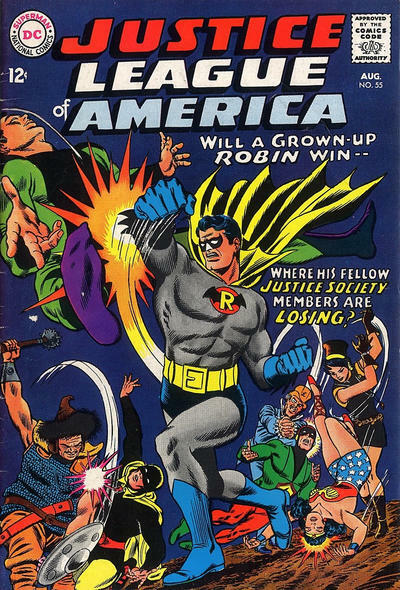 Cover images and credits from the infinite Grand Comics Database. 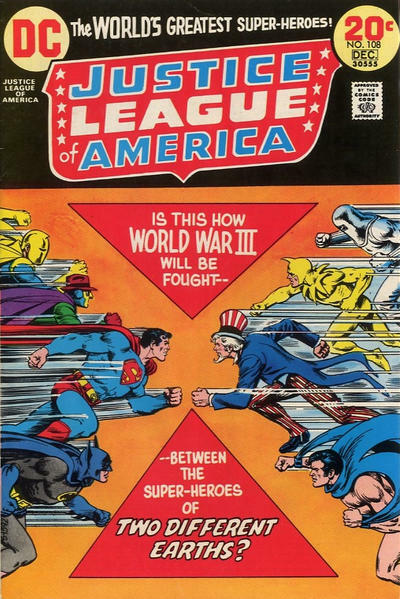 Again, back when comics were fun. Those covers are great. 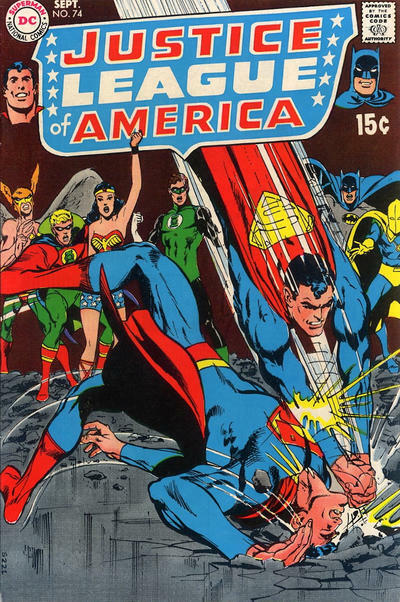 Especially any that showed the Golden Age Dynamic Duo! 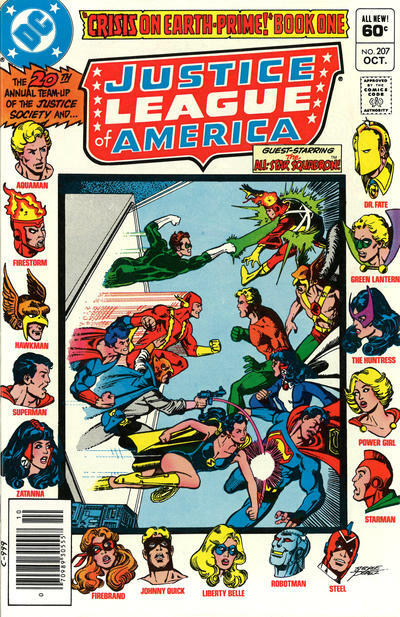 JLA-JSA crossover was what summer was all about! 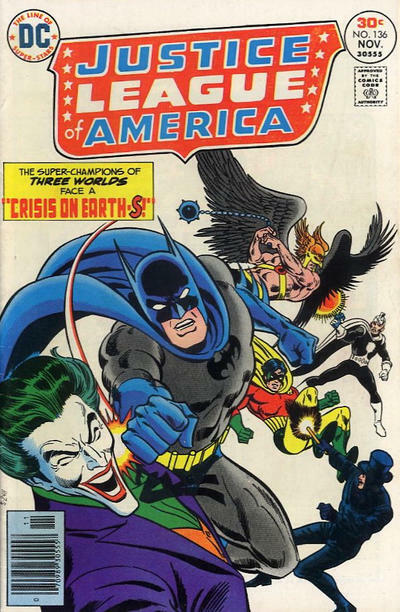 I had all of those in originals at one point — including, IMHO, the worst crossover of all — the “Crisis on Earth-A” two-parter! 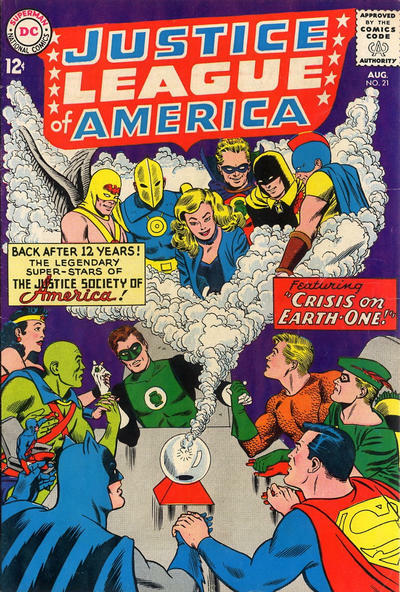 This was the third JLA-JSA meeting. 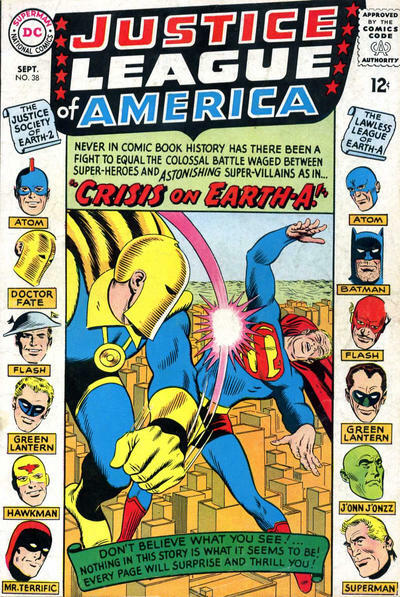 After you do the amazing “Crisis on Earth-One/Two” and then introduce the Crime Syndicate in “Crisis on Earth-Three, how do you follow it? 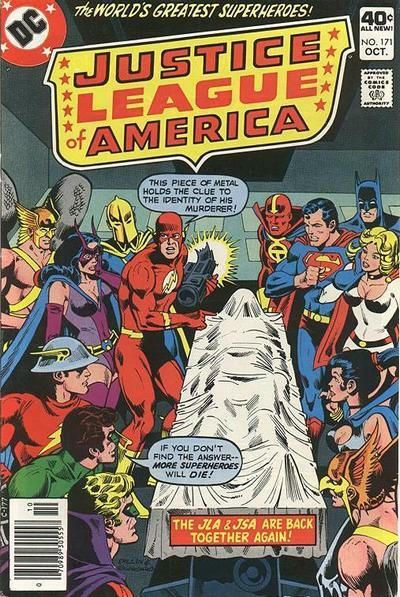 A group of mobsters use a crooked Johnny Thunder to order the Thunderbolt to go back in time, replace them at the time of the JLAers origins and become an evil JLA! 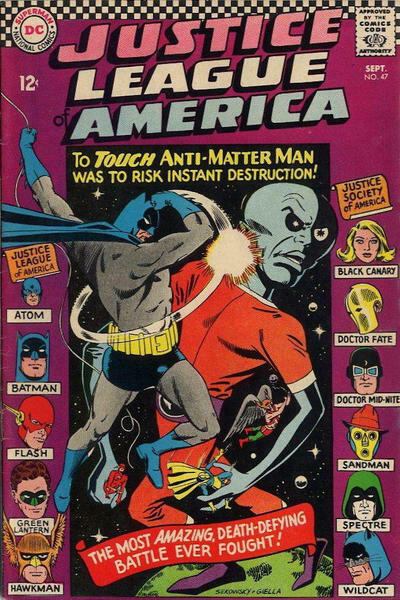 This requires the JSA to come over to new “Earth-A” to restore the timeline. I won’t detail how many ways this story fell apart on it’s internal contradictions. I’m assuming Julie Schwartz was kidnapped when this was being put together. 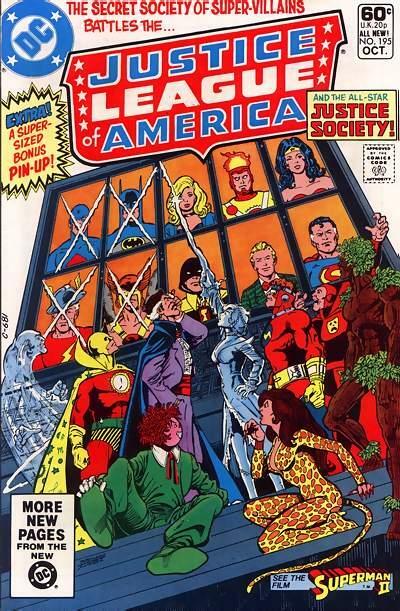 I loved the JLA/JSA crossovers, even though newstand distribution usually meant I missed at least one chapter. 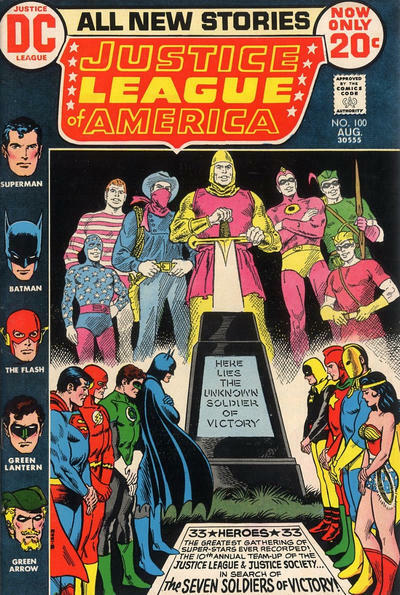 The JLA/JSA pin-up in JLA #195 is one of the greatest pieces of art ever committed to paper in pencil and ink. WOW that #207 Perez cover! so detailed! the poses! self-inked! he is one of the greats as proven right there.